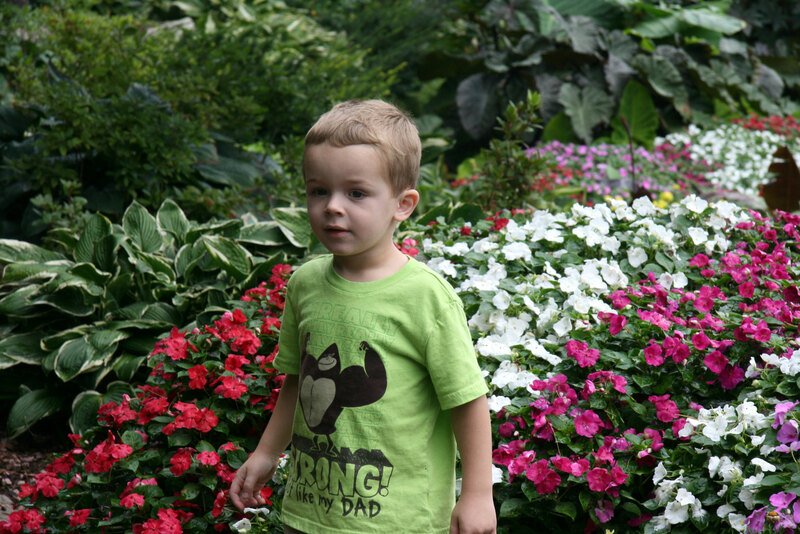 It’s been a few weeks since we visited the Sunken Gardens in Lincoln, NE, but I wanted to blog about it anyway. It was a beautiful place to visit. We stopped in Lincoln on our way to the wedding in Omaha. 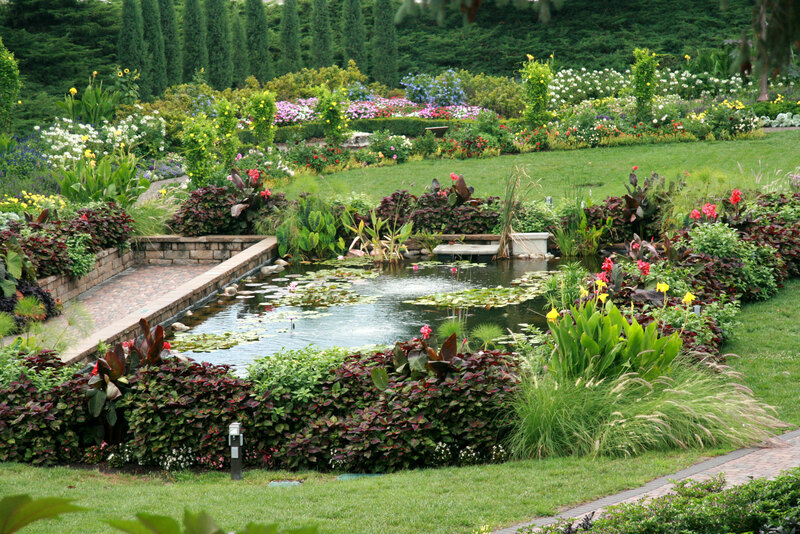 Mom met us there, and before we headed on to Omaha, we stopped at the Sunken Gardens. 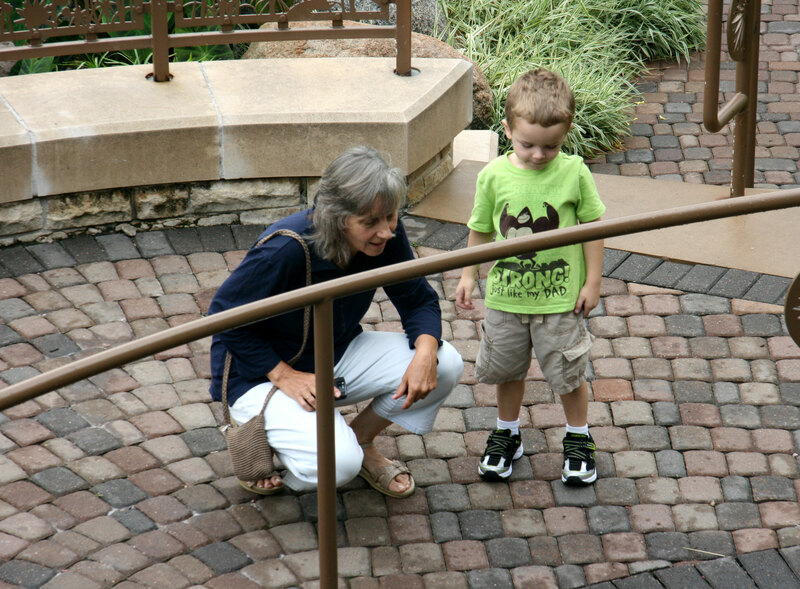 Mom had enjoyed visiting there when she was a little girl, so it was extra neat to take Davey there. Davey liked looking at the fish. 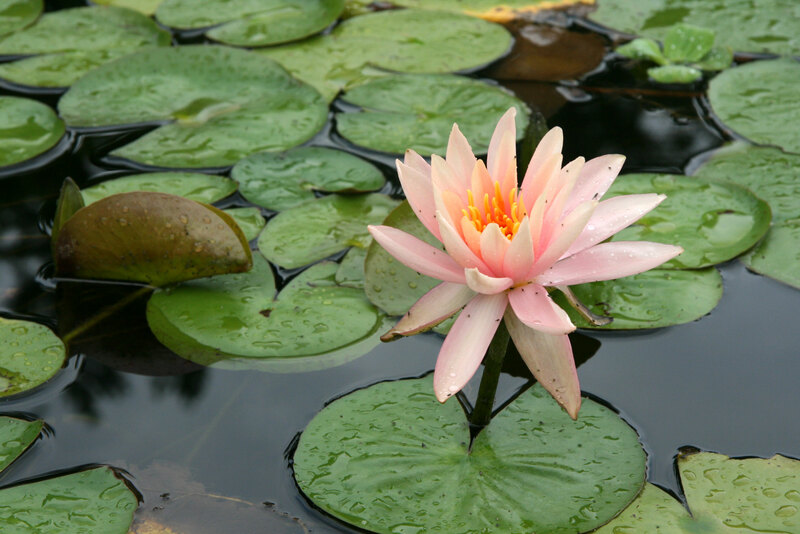 There were beautiful water lilies. 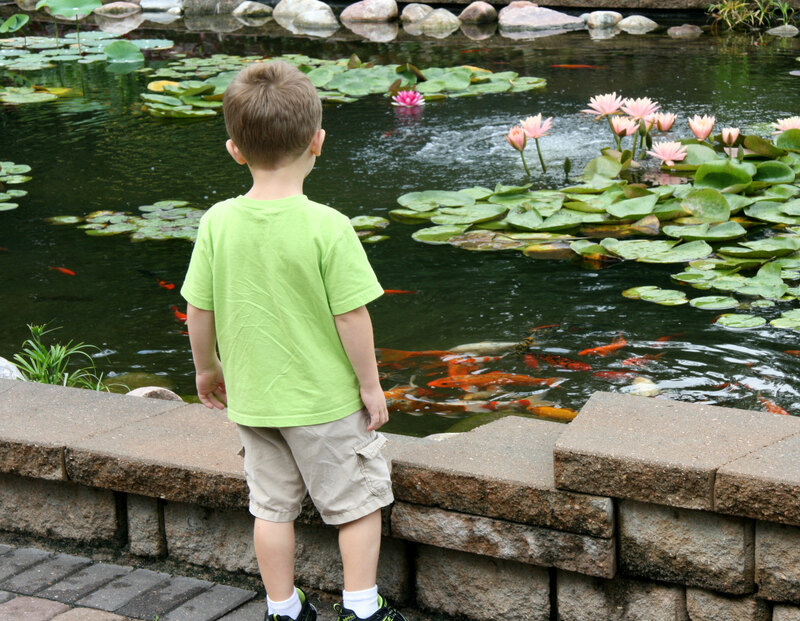 And Davey again still watching those fish which were mostly koi. Pensive Davey? I don’t get to photograph a “quiet” expression too often. So anyway, if you’re ever in Lincoln or passing through, I’d highly recommend the Sunken Gardens! 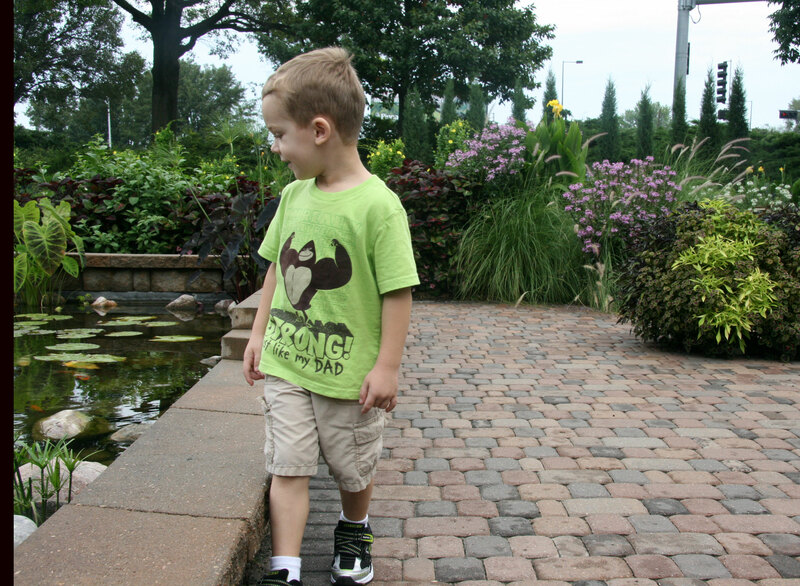 This entry was posted in Explorations, Family and tagged Lincoln, Nebraska, Sunken Gardens by cpeezers. Bookmark the permalink. That was a fun time at a beautiful place. You got some beautiful pictures. How appropriate–Better Half and I were just talking about wanting to visit some surrounding states and he said, “You know, there are parts of Nebraska that are beautiful.” Hum, now I know where I want to go!